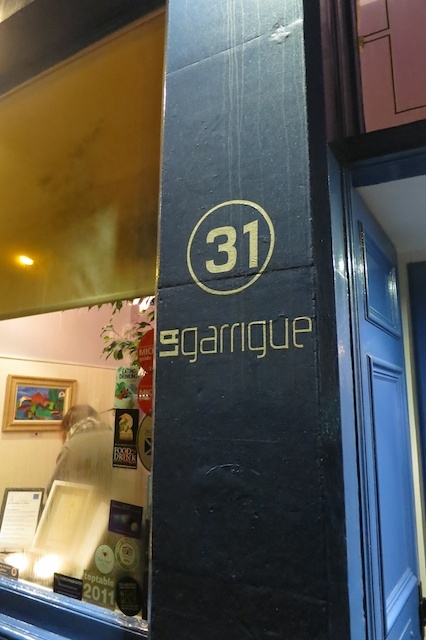 La Garrigue, Jeffrey St, Edinburgh. La Garrigue is, without doubt, my favourite French resto in Edinburgh. I hadn’t eaten here since June 2010 – since then, they’ve been on a Gordon Ramsay programme on telly and twice we’ve tried, it’s been full. So we booked well in advance for my birthday dinner – it was a Thursday night – busy but not full. As always, the ladies started with La Pousse Rapiere – the house cocktail made with an Armagnac liqueur and sparking wine. As La Garrigue specialise in the cooking of southern France, I went native and had a pastis – although it’s not quite the same as drinking it in the sun. The menu changes with the seasons and the winter menu, as you’d expect, had lots of warming stews and slow-cooked dishes. 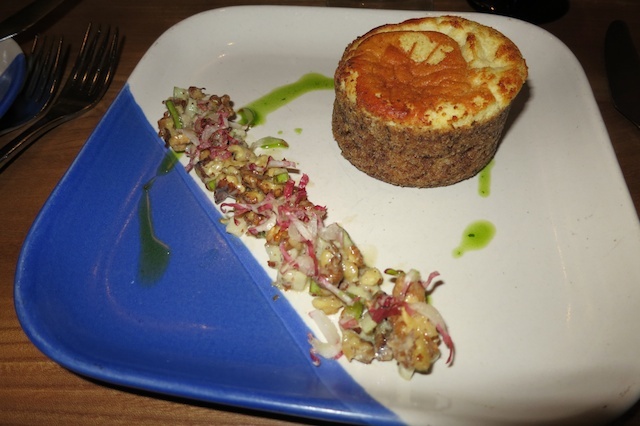 I started though with their Roquefort souffle – which, looking back was what I had the last time. It is simply superb and highly recommended. Others had the pigeon which was pronounced to be excellent – the morsel I tasted confirmed this. 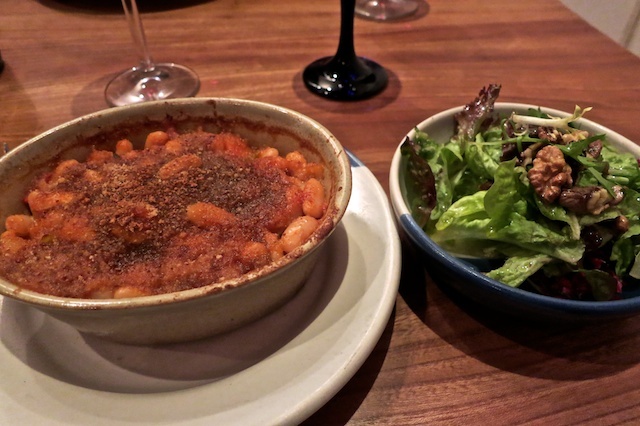 My main course was the traditional cassoulet with a walnut salad. Beans, confit of duck, pork and Toulouse sausage. I always enjoy this although it’s certainly not a refined dish. The tastes of the slow-cooked lamb shank and the beef cheek which I had were also very good. We shared a lemon tart for pudding – another repeat. Wine was a southern French red from the Languedoc called ‘La Garrigue’ – no direct relationship with the restaurant as far as I know. Spicy and herby – we really enjoyed it. Dinner was £25 for 2 courses but with drinks, wine and coffee were were about £40 each. Much better than most restaurants in France. If you haven’t tried it – go there! 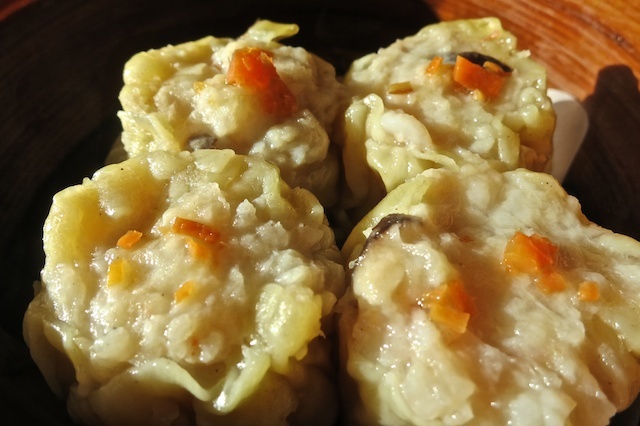 Chinese cooking is one of the great cuisines of the world but too many Chinese restaurants in the UK serve over-sweet, over-salty food that doesn’t appeal to my taste. 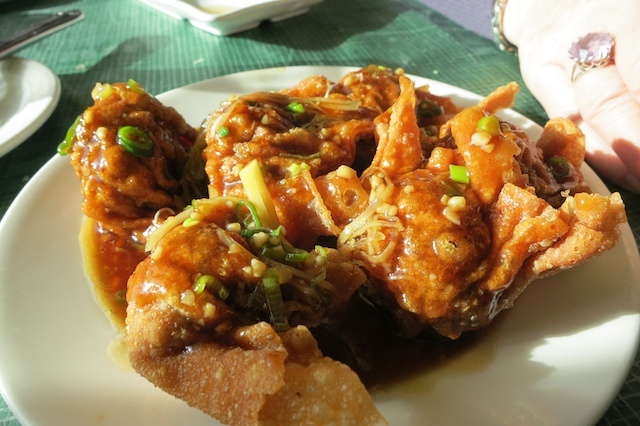 But there are exceptions in most cities – such as Chop Chop in Edinburgh and the Manchurian, in Aberdeen. 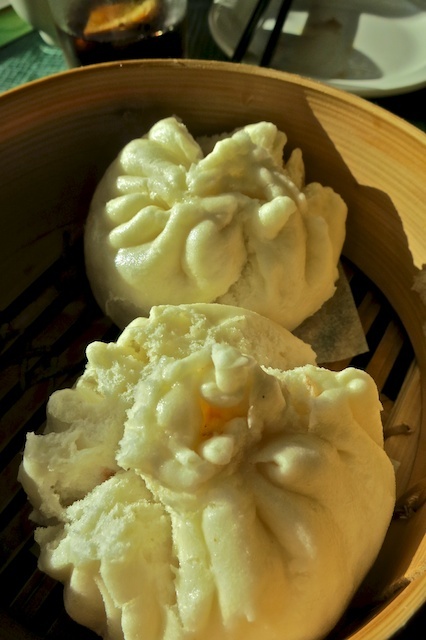 We have never eaten there in the evening but have been for their Dim Sum lunch a few times, which is really very good. 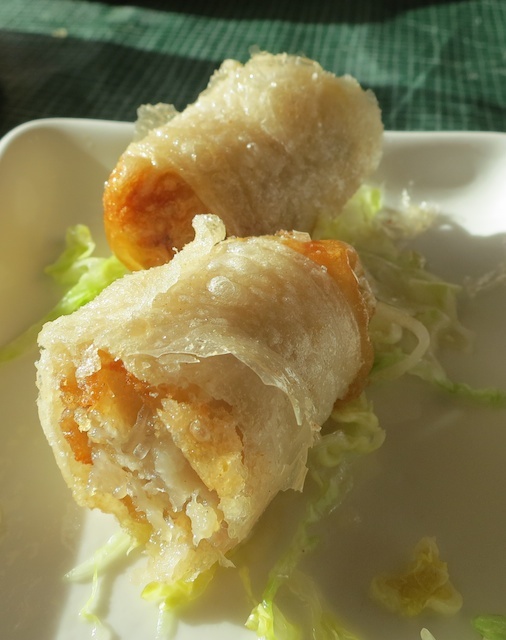 For some reason, you have to ask for the Dim Sum menu which is not huge but which certainly offered enough variety. We had, I think, 10 different dishes – I won’t list them all here but highlights were the Pork and Crab dumplings, crispy beef dumplings, Char Sui pork buns and Vietnamese spring rolls. We also had fish congee (rice porridge) – which looks like wallpaper paste but tastes delicious. Take a risk and try it – but beware the beef belly if you don’t like tripe. When we first came to Bruntsfield more than 10 years ago, there was a greengrocers, a small general store (Spar), a newsagents, a butchers, 2 delis and 2 fishmongers as well as Oddbins and Wine Raks. What we really liked was that you could get everything you needed without having to go to a soulless supermarket. Then Tesco opened a store in the area. One by one, small individual shops have closed with the latest casualty being Peckhams – a large deli that sold unusual food and drink. Peckham’s opened my eyes to the range of different beer from Scotland that is now available as well as bringing in favourites, like Little Creatures, that we had tried on holidays abroad. They supported Scottish suppliers – Ramsay’s bacon, Summer Isles foods and Simple Simon pies. To be honest, I suspect that Tesco was not the only reason for Peckham’s demise – recession, poor management and licensing law changes all played a part but there is no doubt that Tesco has taken business away from the local shops. Now, apparently Sainsbury is to take over the Peckham’s site – another nail in the coffin of small businesses. We are lucky still to have Oddbins, a newsagent, a butchers and a fishmonger but how many will still be there in a couple of years? When will local authorities realize that the tesco-isation of our high streets is irretrievably damaging the character of our towns and cities. Sadly, no political party seems to care – or, perhaps, they are all in the pockets of the multinational supermarkets. The Tories are supposedly the party of small businesses but we hear no complaints from them about how these businesses are being destroyed by the supermarkets. Margaret Thatcher’s father – a grocer in Grantham and a lifelong Tory – will be turning in his grave. 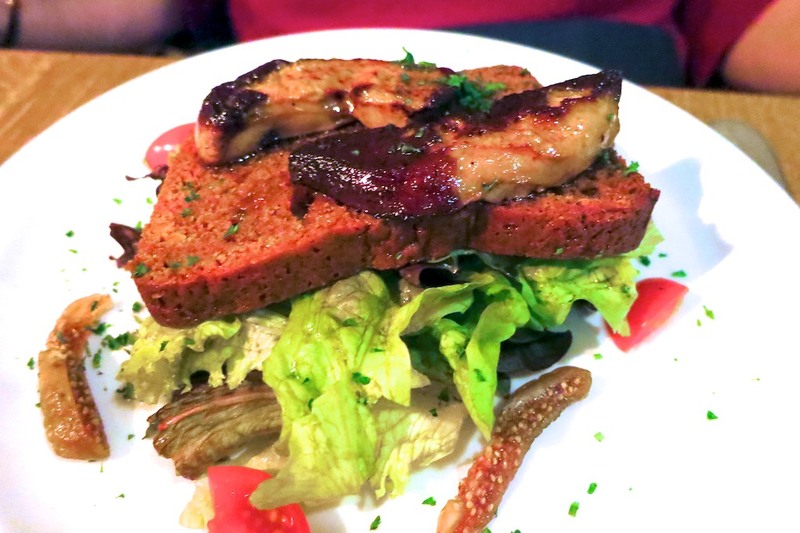 Le Mouton Noir is a French bistro in the heart of Bruntsfield. We ate there shortly after it opened and were very disappointed in the food then we went back a couple of years ago – the food was definitely better but not so good that we were anxious to go back. 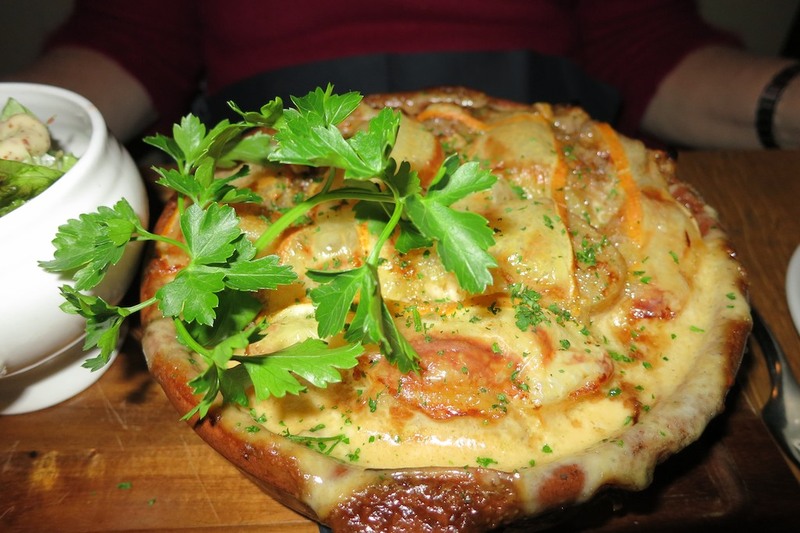 We decided last Saturday to give it another try – and it was much improved. It was busy and bustling and 8 o’clock when we arrived – a slight glitch when they said we had cancelled our booking was quickly sorted. A short menu on a blackboard with wines by the pichet as in France. 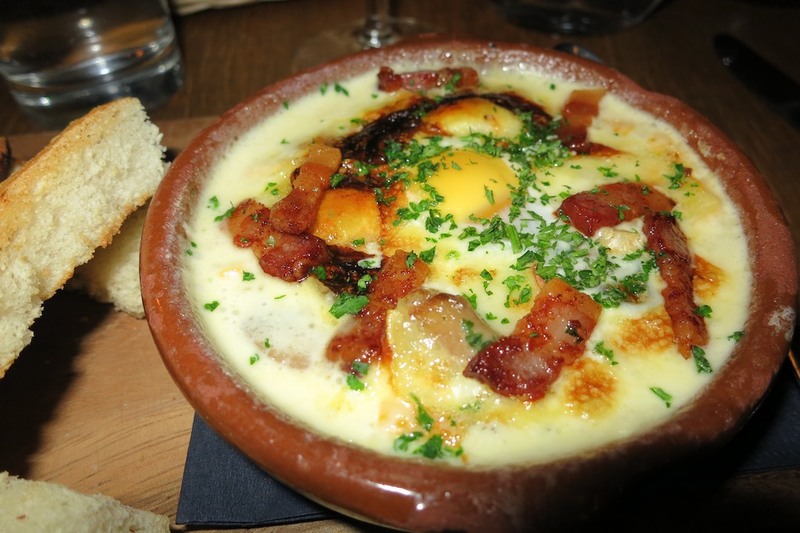 We decided that the best approach was to try and be as traditional as possible so our starters were foie gras and oefs en cocotte – baked eggs with ham, mushrooms and cheese. No complaints about either of these – both nicely cooked and tasty. Served with crusty French bread that, unlike many places in France, was quite fresh. 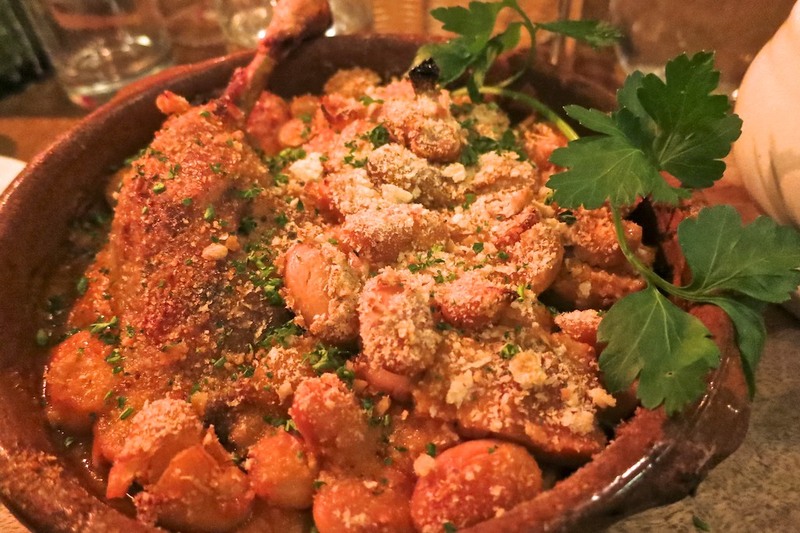 Our main courses were French classics – cassoulet (duck, ham and beans) and tartiflette (potatoes, onions, ham, cream and cheese). Both were hearty winter warmers – simply cooking that worked well. We each had two courses plus a 1/2 litre of house red and 1/2 litre of house white – the wine was OK but a bit overpriced. About £30 each. Altogether, a much better experience than our previous visits – we will be back.